How do I assign employees to shifts? Alternatively you (manager or admin) can assign the employees to shifts by dragging them from the employee list on the left hand side and dropping them into the desired shift. The third option is to click on a shift and then on the + icon of the employees you want to assign to it. 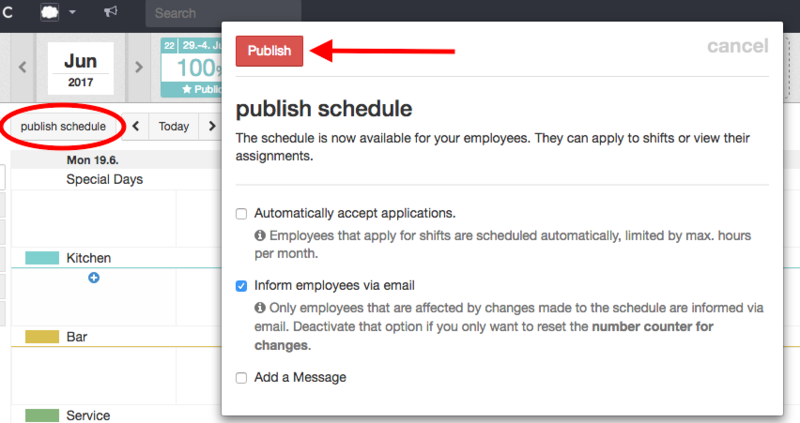 Here you can specifically look for employees that have stated their availability for the given timeframe by clicking on 'available employees'.